I am Gwen Ng, a dedicated and professional Real Estate Negotiator from Vision Homes Realty with a minimum of 5 years experience in the real estate industry. VISION HOMES REALTY offers professional real estate advice and guidance to our clients. It is our pleasure to serve and assist the local and foreign investors in home search for renting, buying and selling of properties. My team of agents is specialized in Kuala Lumpur City Centre (KLCC), Mont Kiara and the affluent Ampang Hilir condominiums and landed houses. We have development land, buildings & hotels listings and are experienced in dealing, acquiring, selling and negotiating of joint venture projects. As a value added service, we are able to assist in arranging the application for Malaysia My Second Home (MM2H) program, bank mortgages, renovation works and interior designing, fittings & furnishings of properties. 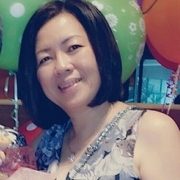 Visit Gwen Ng's personal website.